Know Your Credit Score: If you have a bad credit score, you’re wasting time (unless of course you have the funds to buy a home in cash — which is unlikely). Without a decent score, you won’t be able to get financing for a mortgage. Knowing your score in advance will set you up for making decisions about whether or not to buy, and what kind of lending terms and interest rates you can expect. Check your credit for free three times a year from the three major credit reporting agencies (TransUnion, Experian and Equifax) and make smart credit decisions, like paying bills on time to keep your score up. Get Pre-Qualified: Getting pre-qualified early in the process will not only let you know how much you can afford, it will set you apart from other buyers who are less serious and/or may not be able to get the financing that they want. Getting pre-qualified not only helps you, but it helps your agent and sellers, as it signals to them that you are ready and able to buy. Know Home Values and Prices: Knowing the home values and prices in the areas you’re looking will arm you with the knowledge to be a savvy shopper and get the best deals. You can and should look up prices of homes for sale online, but you should also ask your real estate agent to provide you with some recent sales statistics. He/she can pull recent figures that will help you in your search, and will help provide perspective about pricing on homes that you’re interested in. Assemble the right team: Find an agent that is knowledgeable about your area, experienced and trustworthy. You need an agent that you can feel confident in, and you’re likely to find the best fit through word of mouth as opposed to finding someone online. Ask your friends, family, coworkers, neighbors, etc., for recommendations on an agent. Then, meet him or her and find out how long they’ve been working in your area, how many clients they have, if they have expertise with first time buyers, etc. credit score, identity theft protection and more. 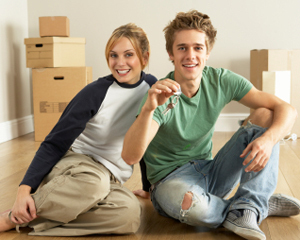 This entry was posted in Green News, News and tagged equifax finance blog, first time home buyers on June 20, 2013 by Carol Morgan. New Atlanta townhomes are coming soon! Ashton Woods Homes has decided to build 10 more homes at Alderwood, and they are just in time for summer. 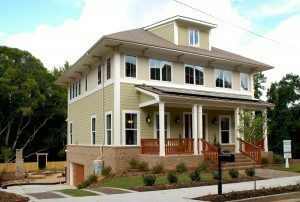 This entry was posted in Energy Efficient, Green News, News and tagged ashton woods homes, atlanta townhomes on May 29, 2013 by Carol Morgan. Tips For Choosing Between Paying With Debit or Credit.” This key information can help you live a cash-free lifestyle, as well as help you remove the need for paper bills and statements by knowing which plastic to use for your credit score. Pro – When you use and pay down a credit card, you help build your credit history. Pro – Less risk of major financial and credit file damage from an identity thief. Pro – Higher likelihood of being able to contest fraudulent charges. Pro – Rewards can help buy things or pay down your balance. Con – It’s easy to over spend using credit cards; since payment for your purchases is delayed. Con – Using a credit card to earn rewards could cause you to spend more than you really can afford. Pro – The money is taken directly out of your checking account, so no interest and no late payment fees. Pro – Having debit cards has no negative impact on your credit. 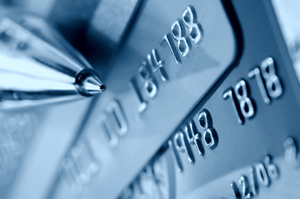 Con – Having debit cards has no positive impact on your credit. Con – If stolen, the thief can wipe out your bank account. Con – If you or a thief overdraws, you will be hit with substantial fees. As you can see, there are advantages and disadvantages to both credit and debit cards, and which you use, and when, and how often, is up to you and what works best for your financial lifestyle. protection from identity theft and more, visit the Equifax Finance Blog! This entry was posted in Green News, News and tagged Credit cards, equifax finance blog, identity theft information on May 23, 2013 by Carol Morgan. For the past few years, the big news in home buying has been no news. Home buying activity has been relatively flat recently thanks to the downturn in the housing market. But not long ago, during the housing boom, the big news was how big homes were becoming. Remember all the McMansion headlines? 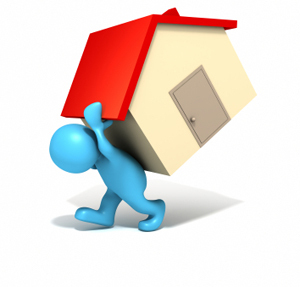 Buyers bought into the trend that bigger homes were better. Many buyers bought more home than they could afford. As the housing market begins to creep back up, buyers should be more cautious about what they really need in a home and not get stuck living beyond their means in a giant house. What Kind of Mortgage Can You Afford?” explains further, warning buyers to not get trapped into buying the biggest house they can afford, even if it is miles and miles away from work. Combining commuting expenses with housing expenses can give buyers a better idea of how much they can afford. If you are going to live 30 miles from work, you have to take into account your transportation costs when determining what you can afford each month. Take into account rising gas prices, vehicle maintenance, highway tolls, parking fees, etc. Could you live 15 minutes away from work, save about half on commuting, and have a slightly smaller home? What would you be willing to trade to swap the time spent in your car with time spend with your family? Or, could you take advantage of public transportation? The greener choice would be to live as close to work as possible to reduce transportation times. A good estimate of housing plus transportation costs is about 45 percent of your monthly take-home pay, but yours could be more or less depending on various factors, like whether or not you can use public transportation, how much gas your car guzzles, etc. But the bottom line is that there will be give and take when it comes to the two. Lower transportation costs mean you can afford more home; higher transportation costs mean less. And you should also take into account the full cost of owning a larger home, including utilities. That big home may not be that great of a deal when you face very cold winter heating or very warm summer cooling costs for that huge house. protection from identity theft, insurance and more at the Equifax Finance blog. This entry was posted in Green Design Trends, Green News, News and tagged equifax, identity theft, mortgage help on April 25, 2013 by Carol Morgan. Love is in the air at Alderwood this spring! Atlanta townhome buyers cannot get enough of the community’s beautiful homes, great amenities and convenient location in Sandy Springs. Built by Ashton Woods Homes and priced from the upper $200,000s, these homes won’t last long! Three energy efficient and architecturally floor plans are available. These include the Wentworth, Lenwood and Brighton. This entry was posted in Energy Efficient, Green News, News and tagged Alderwood, ashton woods homes, atlanta townhomes, Sandy Springs on April 22, 2013 by Carol Morgan. As you don your favorite green apparel in honor of St. Patrick’s Day, don’t forget to dress your Atlanta new home in this lucky color too. With Brock Built’s GreenSmart program, making sure your home and your wallet have plenty of green is easy! Atlanta St. Patrick’s Day Parade: On Saturday, March 16 head on over to downtown Atlanta for this annual Atlanta tradition. Attendees of all ages will enjoy a parade and festival with special guest appearances, live music, entertainment, food, drink, games and more. Haunted Pub Crawl: If you’re looking for a frighteningly good time, attend this spooky event in downtown Marietta. On Saturday, March 16 at 9 p.m., tour goers will make their rounds to Marietta Square’s three most haunted bars for ghost stories and drinks. Keegan’s Irish Pub: Your whole family can enjoy traditional Irish fare at this restaurant’s East and West Cobb locations. Between Brock Built’s energy-efficient homes and fun events around Atlanta, hopefully you’ll find your pot of gold this St. Patrick’s Day. This entry was posted in Energy Efficient, Green News, News and tagged atlanta new homes, Brock Built, cobb county new homes, GreenSmart program on March 6, 2013 by Carol Morgan. 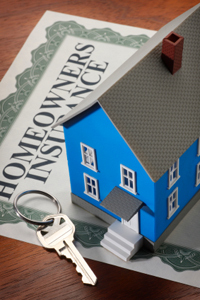 Can you expect a Homeowners Insurance cost break in 2013? It all comes down to how homeowners insurance costs are determined; these costs are set according to how much it would cost to replace and rebuild your home; not comparative market value, or the price at which other comparable homes are selling for in your area. Where real estate agents and tax assessors determine value from recent sales and changes in the marketplace, homeowners insurance companies determine value using the description of your home and the items you choose to insure within. With building costs up on average two percent nationally and frequent updates to building codes requiring additional steps to take in new construction, a reduction in homeowners insurance costs probably isn’t in the cards unless you make one. So now is the time to check in with your insurance agent and find out if there are any deductions you are missing, or if there are any special incentives or cost reductions you can take advantage of with relatively minor home upgrades. Voluntary energy efficiency and safety upgrades are often available, and the one-time cost of purchase and installation of these options can save you much more over the long run. identity theft statistics, check out the expert advice from Equifax! This entry was posted in News on February 26, 2013 by Carol Morgan. Built by Ashton Woods Homes, the new model home at Reserve at James Creek follows the Environments for Living Platinum Program. 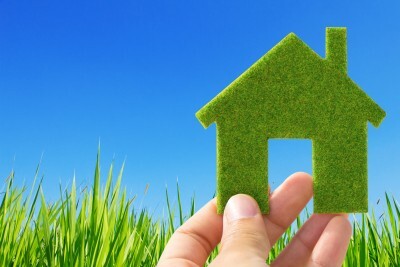 For those wanting an energy efficient home, take a tour today! 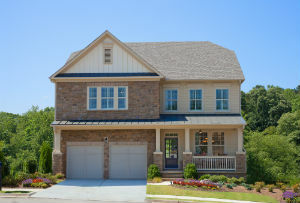 This entry was posted in Energy Efficient, Green News, News and tagged ashton woods homes, Reserve at James Creek, South Forsyth new homes on February 15, 2013 by Carol Morgan. Green Built Blog comes in at number 90 on this year’s “Top 100 Green Blogs to Follow in 2013” Infographic. This entry was posted in Green News, News and tagged infographic, top 100 green blogs on February 4, 2013 by Carol Morgan. Recently, several builders, remodelers and other industry professionals were recognized as winners of the National Green Building Awards given by the National Association of Home Builders (NAHB). The awards were presented as part of the 2013 International Builders’ Show (IBS) in Las Vegas. Each year, the NAHB recognizes individuals, companies and organizations for excellence in residential green design and construction practices as well as green building program and advocacy efforts. Laclede Gas Company of St. Louis, Mo., was also named the Utility Partner of the Year for its dedication to high-performance building, the ICC-700 National Green Building Standard and education at the local and national level. Additional information about the National Green Building Awards can be found at www.nahb.org/greenbuildingawards. This entry was posted in Green Events, Green News, News and tagged National Association of Home Builders, National Green Building Awards on January 25, 2013 by Carol Morgan.